The Restaurant Hostal Abat Cisneros is part of the Hotel Hostal Abat Cisneros building. The ceiling in what is now the dining room (used as stables in the 16th century) consists of a great stone arch, whilst the walls are bare rock. The restaurant provides a peaceful, pleasant atmosphere where you can enjoy excellent traditional Catalan cuisine in the company of family and friends. This restaurant is one of the facilites available at Montserrat for holding family parties and other celebrations. 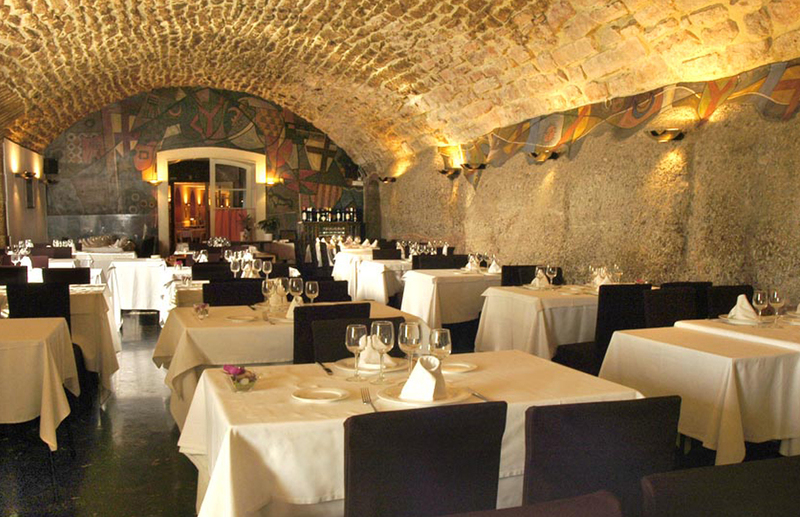 The so-called Saló de Pedra (Stone Dining Room) seats up to 120 diners, whilst the Saló Rosa (Pink Room), holds another 100. Set menu and à la carte services for groups, family parties, weddings and other celebrations.